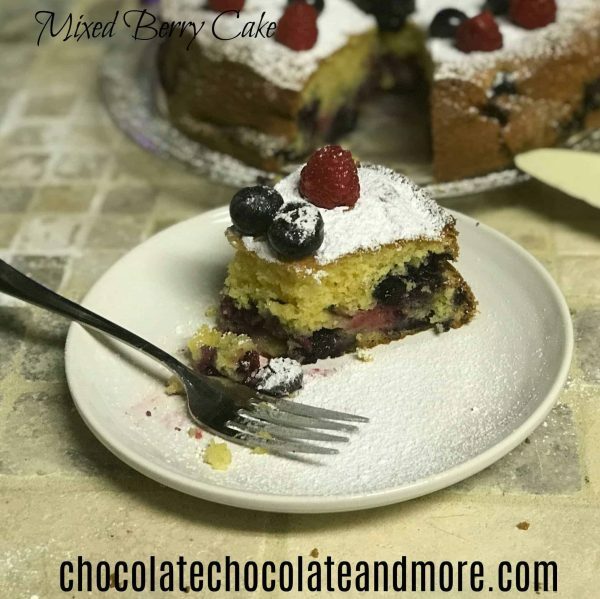 Mixed Berry Cake - Chocolate Chocolate and More! Who says the Summer Solstice means you have to stop using mixed berries and switch over to pumpkin and apple for all of your baking adventures? Certainly not me! 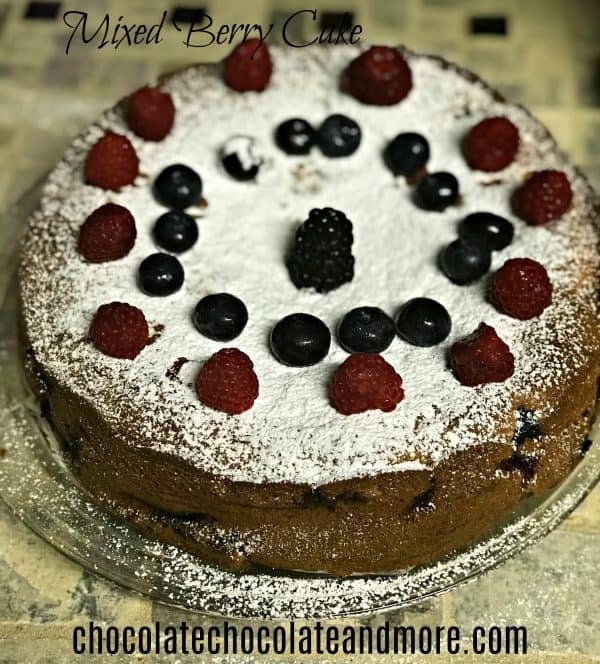 My refrigerator still contains plenty of blueberries, raspberries, and blackberries just waiting to be used, and I have so many friends celebrating birthdays this month, I decided mixed berry cake was the best way to share them! 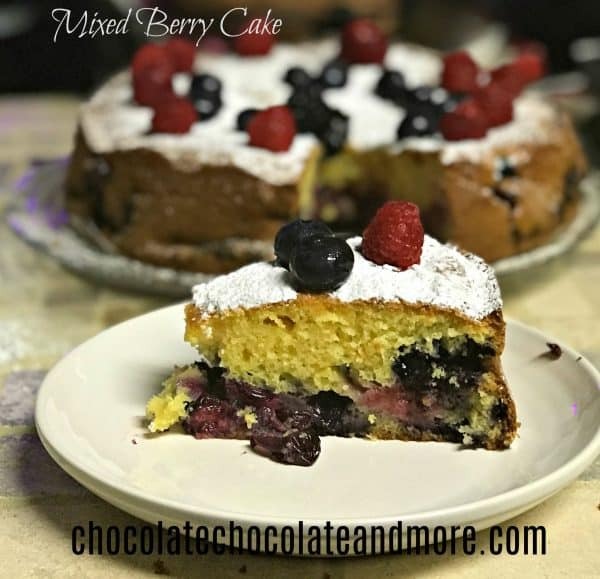 I am trying to cut back on the amount of sugar I am taking in (ironic for a desert blogger, I know), and fresh berries add wonderful flavor to a plain cake without having to add the high sugar of icing. This cake is wonderful in that you can serve it warm or cold — at a party or in a lunch box. If you want to cut it into slices or sections to save for later, you can put it in an air-tight container and freeze it for up to two weeks. You can dress it up or down — add powdered sugar, whipped topping, berry sauce, serve it with a scoop of your favorite ice cream — or just eat it as is. 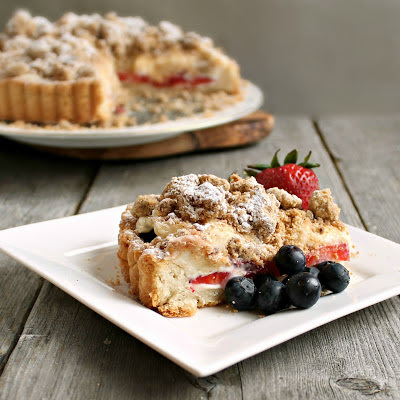 Delicious from-scratch cake that you can make with any berry your heart desires! Spray the sides of your springform pan with non-stick cooking spray grease with unsalted butter. (You can use a piece of parchment paper cut to size to line the bottom of the pan.) Set aside. In a large mixing bowl, combine eggs and granulated sugar until thick and light in color (4-5 minutes). Add vanilla, oil, and yogurt and mix until well combined. With the mixer on low speed, add the flour mixture to the wet mixture in small batches. Mix until combined into a batter. Pour a third of the mix into the pan. Layer the top with a third of your berries. Continue layering until batter is gone and top of batter is layered with berries. Place pan in center of oven and bake approximately 50-55 minutes, or until a toothpick or other tester placed into center of the cake comes out clean. Remove cake from oven and place pan on cooling rack for 15-20 minutes. Before popping the top of the cake pan open, use a knife or thin icing spatula to run between the cake and edges of the pan to ensure nothing is sticking to the sides. Remove top of pan, and slide cake carefully onto plate or presenting platter. Looking for other berry recipes? Try these.